We would like to inform that Vietnam Immigration Department will close for Vietnam holidays 2019. In these days Vietnam Embassy and Consulate will close also. 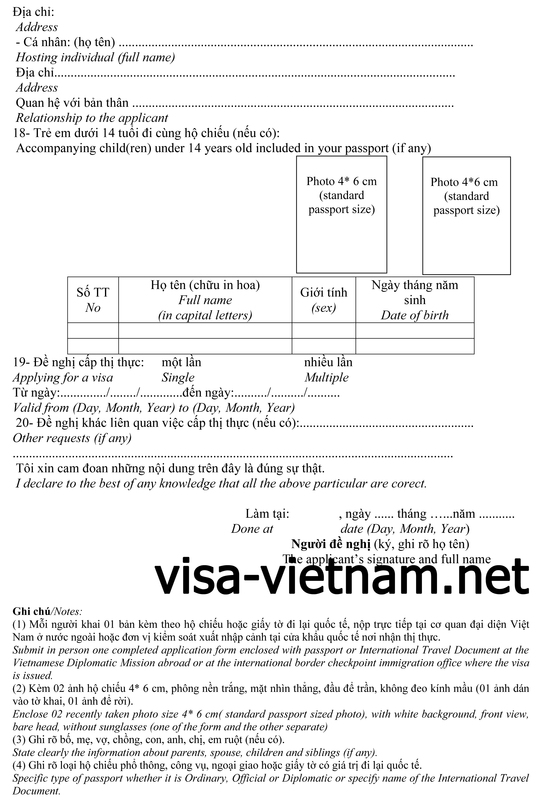 Around this time, we can also help you to process the Vietnam visa approval letter which you can use to get the visa at Vietnam airport. Your Visa application which travel date to Vietnam during this time will be set on Holiday case. The extra fee will be charged. 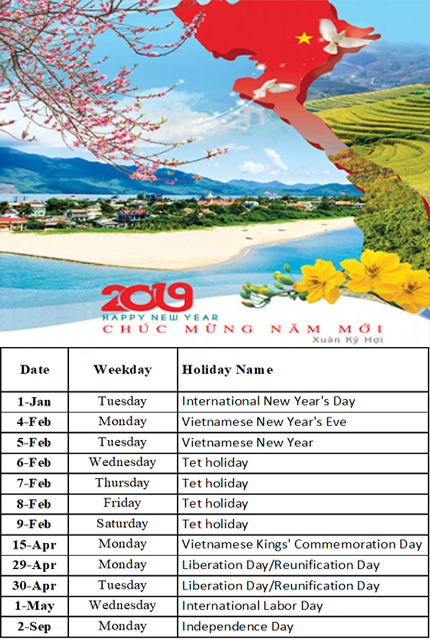 We provide the holiday days in case you intend to visit Vietnam these days, please choose to apply before around 3-5 days to sure you save your money. Fees for visas valid single entry reduce from 45 USD to 25 USD; visa valid up to 3 months multiple entries decreased from 95 USD to 50 USD; kind worth more than 3 months to 6 months and the type of value on 6 months to 1 year stays is 95 USD and 135 USD. The correction is stipulated at Circular 157/2015/TT-BTC on granting of visa for foreigners entering Viet Nam for tourism and study purposes. The new circular maintains charges for more than three-month stay visa and raises costs for long-term visa. Earlier, Viet Nam offered visa exemption for passport holder of United Kingdom (the UK), France, Germany, Spain and Italy within 15 days./. 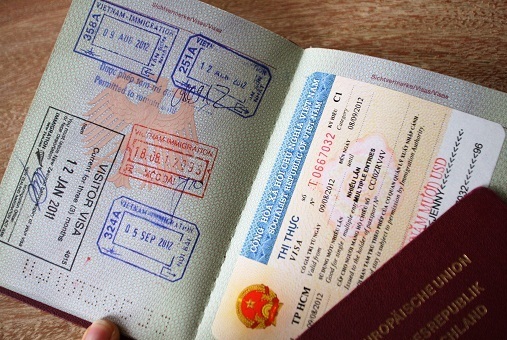 According to the article number 20 of 47/2014/ QH2013 circulation about the Conditions for Entry Vietnam Immigration issued on 16th of June 2014 with effect from 1st January 2015: A foreigner shall be granted entry into Vietnam with unilateral visa-free entry when the foreigner have a passport that is still valid for at least 06 months, and the entry date must be at least 30 days from the previous exit. Currently, Vietnam's unilateral visa exemption is applying for citizens of 13 countries, including: Korea, Japan, Russia, Denmark, Sweden, Finland and Norway, Belarus, Italy, Germany, Britain, France and Spain. Citizens of those countries can enter Vietnam without visa within 15 days. However, they want to enter into Vietnam under unilateral visa exemption in the next time have to wait at least 30 days from the last day exited Vietnam. For example: A German citizen entering Vietnam dated 1st July 2015 under unilateral visa exemption and leaves Vietnam on 10th July 2015. If he wants immigration back to Vietnam, he has to wait at least 30 days (it means after 10th August 2015) to enter Vietnam under the unilateral visa exemption. If you want to enter before this time, please apply for Vietnam visa. 1. The foreigner has a passport/laissez-passer and a visa. 2. The foreigner is not suspended from entry as prescribed in Article 21 of this Law. When you enter Vietnam, you have to submit The entry and exit form to the Immigration Officer. It is an important document as approval letter to get visa. Since March 1, 2015, a new one that was renamed into Vietnamese visa application form has replaced the old entry and exit form. As such, the old form is currently invalid. 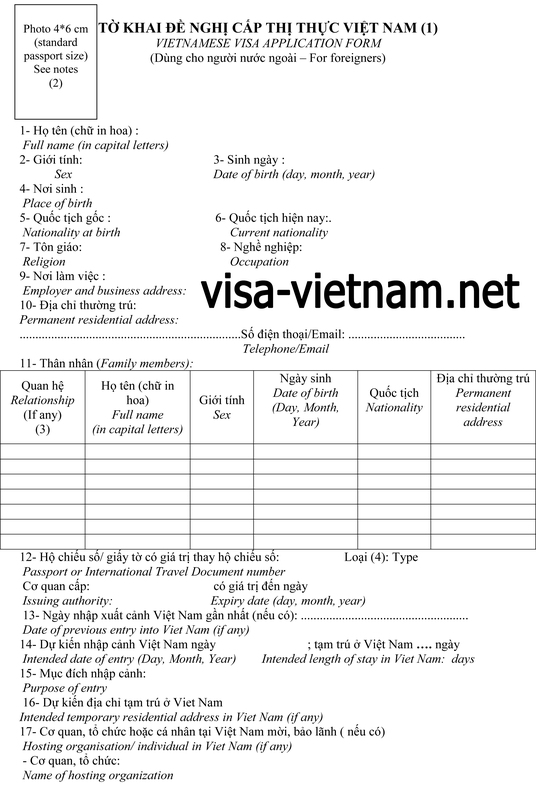 Therefore, in case you received the old form for getting Vietnam visa on arrival at the airport from any travel agent, please ignore it, download the new version, fill it out and bring it together with you upon departure for Vietnam. In case you do not have the Vietnamese visa application form from any source yet, you can take one at the airport upon your arrival to fill out with your information. However, it may take you 5 to 10 minutes to fill out. So we highly recommend you to download and fill it out before departing for Vietnam for time saving. » Click here to download it.